When Somali Abduwali Muse and his gang of pirates hijacked a cargo ship off the west horn of Africa in April 2009, the life of Captain Richard Phillips was about to take a drastically alternate course. Ironically, Phillips was at the helm of a vessel carrying a substantial battery of relief supplies to the impoverished African nations including Uganda and Somalia when the pirates struck. Taken hostage, Phillips was eventually rescued thanks to a guerilla style mission courtesy of the US navy. Since those fateful days, Phillips has embraced his celebrity status and even written a book to capture the events of his traumatic nautical nightmare entitled ‘A Captain’s Duty: Somali Pirates, Navy SEALs, and Dangerous Days at Sea’. The events of the book form the foundation upon which Paul Greengrass’s on-screen dramatisation unfolds. 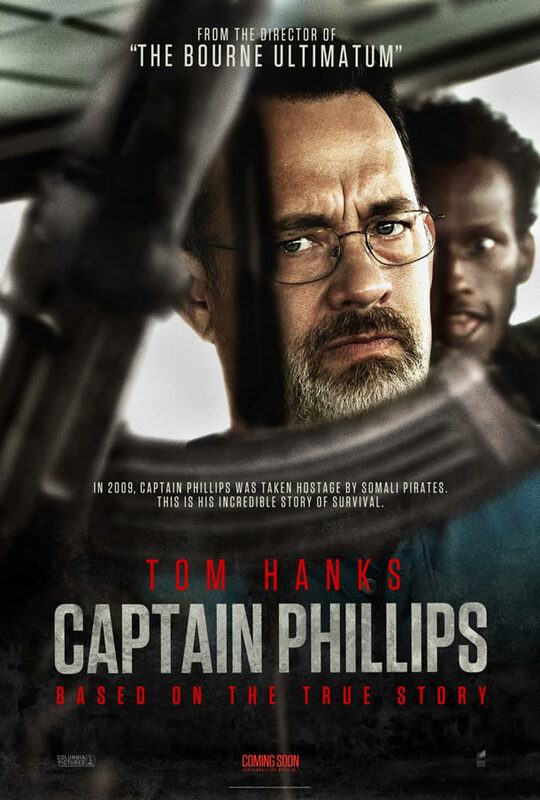 Although, the portrayal of events in the book and the captain’s role in the hijacking has come under scrutiny; the British director together with screenwriter Billy Ray (The Hunger Games, Flightplan) has crafted an unbearably tense, heart-racing action thriller which sits proudly as one of Tom Hanks’s finest career performances to date. It is rare that a Hollywood biopic is able to reach such equilibrium in its portrayal of real life events. Greengrass strikes a resonant chord by briefly yet notably touching upon both sides of the struggle. The overwhelming desperation of the war ridden Somali predicament is expertly captured to contextualise the nerve shredding events on board the Maersk Alabama cargo ship. Are the pirates cruel, calculating and mindless in their insatiable greed? Or in fact are they men pushed to the brink of sanity, stripped of the opportunity and promise of a better life thus forced into a life of seaborne crime? In the momentous and quite arguably most poignant scene in Billy Ray’s script, Phillips (Hanks) furiously questions Muse (Abdi) on his actions. Phillips: ‘There got to be something other than being a fisherman or kidnapping people? !’ Muse repeats: ‘Maybe in America’. It hammers home Greengrass’s subtext with aplomb and crystallises the irremediable sphere of existence faced by the pirates. Tom Hanks and Barkhad Abdi produce Oscar worthy turns as the two lead protagonists, the captive and captor are bought to life by a gritty sense of realism. Hanks plays the role of the sternly heroic captain with the trademark vulnerability seen in the likes of Castaway and The Green Mile. A family man thrust into the role of omnipotent protector of his crew, at first bravely resisting the hijackers, the captain iteratively loses control of proceedings before eventually being taken captive. Look out for the tear inducing finale where Hanks is in shock after the ordeal, a master-class in acting of the highest calibre. Whilst the Forrest Gump star is partly expected to perform at such levels, it is newcomer Abdi who takes the screen by storm. 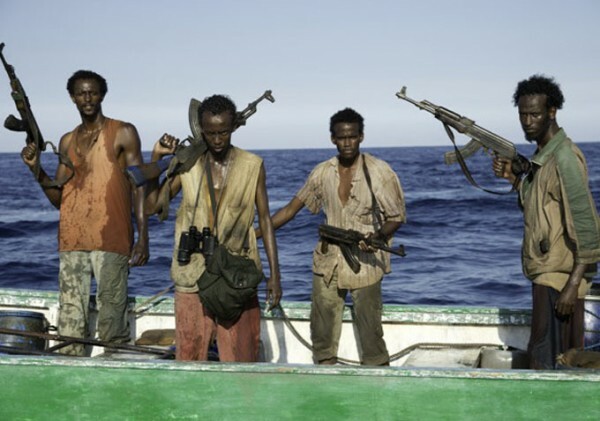 Remarkably working as a chauffeur when cast in the role, Abdi is superb as the menacing pirate. From the initial attempts to hijack the ship through to his negotiations with US Navy, Abdi exudes confidence and commands attention. ‘I am the captain now!’, a line sure to be immortalised a classic. Whilst the accumulation of the nail-biting tension fuels the cinematic experience, the representation of the US Navy feels steeped in propaganda. As with Kathryn Bigelow’s Zero Dark Thirty (2012) the pro US military theme borders on asphyxiating. It is of no surprise that such a positive spin is placed on the involvement of the navy, it is the first successful pirate rescue in decades. The film offers the ideal platform to champion and showcase such an accomplishment. It is in stark contrast to Rodrigo Cortes’s terrific Buried (2010) which instead highlights the inadequacy of the bureaucratic machine. 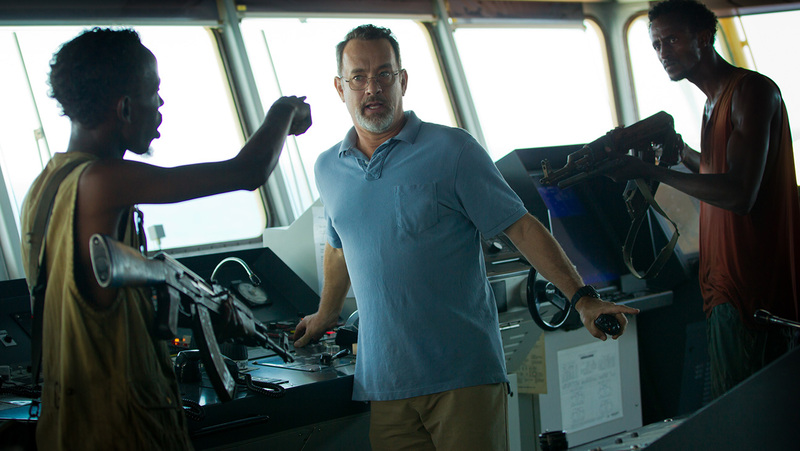 Captain Phillips will certainly rank as one of the years highlights, more docu-drama than action thriller, Greengrass has produced an enthralling spectacle backed by performances to savour from a stellar cast. The film provides a neat Hollywood parallel to superb Danish drama A Hijacking (2012) and is sure to be a genuine contender for many ‘top ten’ lists come the end of what is proving to be a scintillating 2013.